Coeur d'Alene Cider's Jill Morrison is part of a growing trend. Jill Morrison often gets a double-take when people discover she's the owner and brewmaster at Coeur d'Alene Cider Co.
"I've had varying reactions, from 'Wow, that is so great,' to 'Who helps you?'" says Morrison, who launched the Coeur d'Alene business last summer, making it the third North Idaho craft cidery. 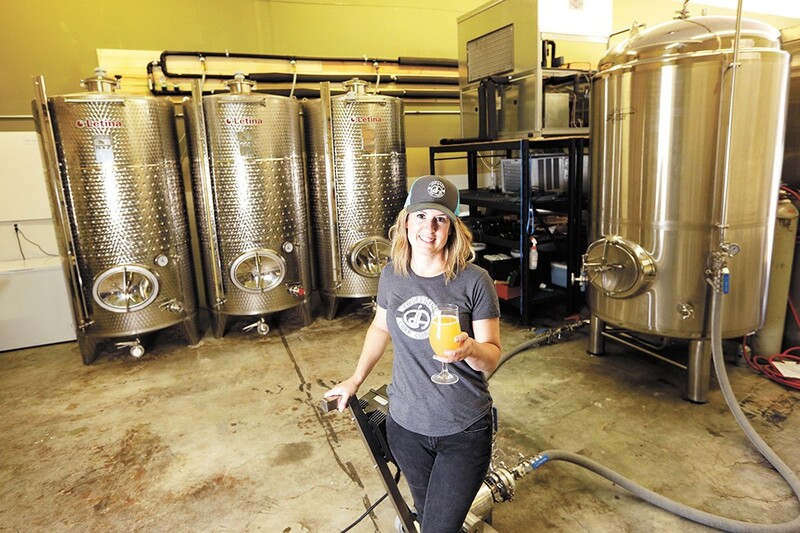 Ditto for Ginger Cantamessa, a former employee at Downdraft Brewing Co., who purchased the Post Falls-based business with her spouse, Josh, when it closed last fall. "When I'm working in the tap room," says Cantamessa, "many will often assume my husband is the brewer, so it's kind of comical." Danica Gilbert, a former employee of Slate Creek Brewing Co., purchased the Coeur d'Alene brewery this year after its former owners closed it in October 2017. She says customers always look startled when she introduces herself as its new owner. "I don't think people associate women with beer and brewing very often," says Gilbert, who expects to tap her first keg as Slate Creek's owner and brewer this week. She still plans to serve other local labels, like MickDuff's, Radio Brewing and Coeur d'Alene Cider. Gilbert is optimistic that change is afoot. "I think we will see a shift soon, where women in the industry won't be as shocking or surprising." Indeed, in a 2014 survey of more than 2,500 U.S. breweries by Stanford University, researchers found that for roughly a quarter of those breweries, women occupied a top role, such as CEO or brewmaster. The Center for American Progress reports female executives in the craft brewing industry (21 percent) outpace those roles both in healthcare and general Fortune 500 businesses (14.6 percent each), as well as in finance (12.4 percent) and information technology (12 percent). How does the Inland Northwest compare? Depending on how you skew the map — omitting Spokane, for example — things look pretty good. Of roughly 20 North Idaho breweries and cideries — including those located in Kootenai, Bonner, Shoshone and Benewah counties — two are owned solely by women, while at least four are women-owned via partnership. In addition to Slate Creek's Gilbert, Coeur d'Alene Cider's Morrison and Downdraft's Cantamessa, there's Kerry Kieres, who runs Paragon Brewing with her husband Chris. She reports they've finally broken ground on their brewhouse four years after debuting the operation, which began as a restaurant serving other local brews. Fred and Michelle Colby together own Sandpoint's Laughing Dog Brewing, and Kellogg's Radio Brewing Co. is co-owned by Ashley Malcolm and Fred Mehaffie. 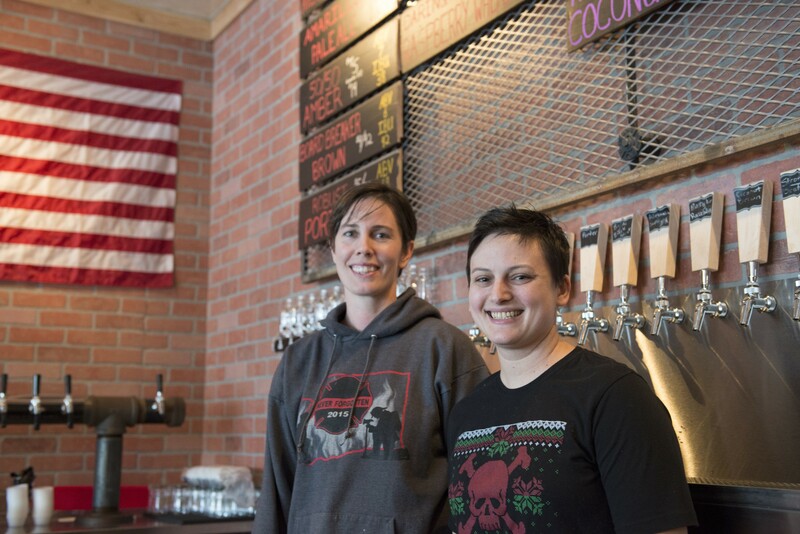 In addition, Spokane-based Badass Backyard Brewing, owned by Charlene Honcik and Kendra Wiiest, recently opened a satellite taphouse at Coeur d'Alene Fresh. All considered, this puts North Idaho's brewing industry a bit above national averages in female leadership. Badass Backyard owners Charlene Honcik, right, and Kendra Wiiest. Gender might be at the root of people's reactions, yet it's never been an issue from their perspectives, say the women we interviewed. They note that handling heavy, awkward equipment and supplies has been a challenge, so they're modifying processes to lift things more safely and efficiently. Smarter, not harder. Motivations for getting into the business vary for each owner. For Cantamessa, purchasing Downdraft and becoming brewmaster was in her wheelhouse. "Because I grew up with a punk rock, DIY attitude, it gave me the courage to go after the crazy things I wanted to do," says Cantamessa, who learned to brew beer before being of legal consumption age. She's also made soaps and cosmetics, done photography and started a roller derby league because there wasn't one where she lived, she says. "I loved chemistry and was fascinated by how things would react when mixed together," says Cantamessa, who's revamped the brewery's signature beers, like her favorite, Hoppy Seconds, a West Coast-style IPA using Cascade and Columbus hops. Morrison got into cider-making five years ago after purchasing a fermenter. "I remember setting it up in my kitchen thinking I'd give it a try, and maybe it would turn out well enough to serve at my next barbecue," says the Washington State University grad, who previously worked 20 years in what she describes as a 9-to-5 job. "Long story short, it took more than one batch to understand the complexity, patience and obstacles I would experience," says Morrison, who has seasonal ciders — Winterberry with pomegranate and cranberry, and summer's raspberry honey — along with four staples, including a blackberry lemon blend and an unfiltered semi-dry cider. Instead of a tasting room, Morrison sells direct, including at farmers markets, Growler Guys (Coeur d'Alene and Spokane locations) and the Filling Station on Fifth, as well as during select local events. Gilbert reopened Slate Creek in part because she received numerous phone calls from former customers. "Slate Creek has always been a special place for people in our community to come and connect," Gilbert says. "I could feel and hear the void it left." The 25-year-old first-time business owner is excited, too, to join the ranks of other women in the craft beverage industry. The original print version of this article was headlined "Sisterhood of Suds"